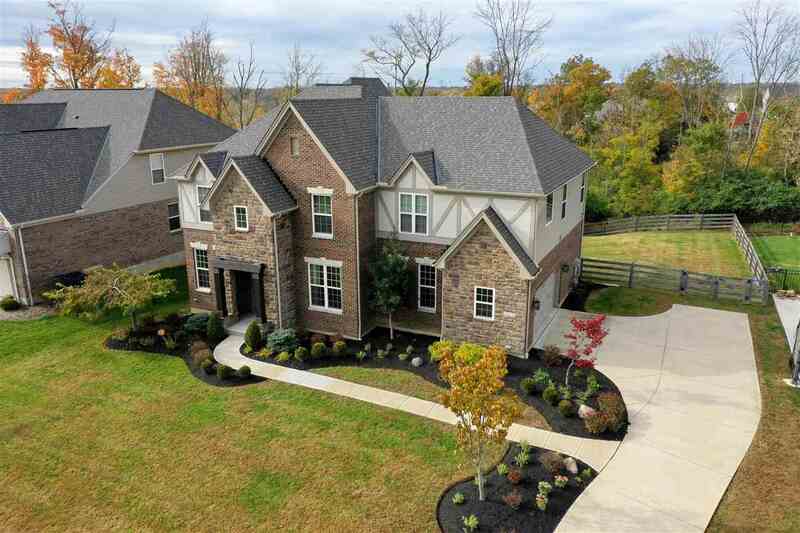 *Extended* Davidson floor plan by Drees with side-entry garage! Open concept with gorgeous hardwood floors, new carpet on 1st floor, and extensive list of amenities/ upgrades throughout. 4 bedrooms with walk-in closets, 2nd floor laundry, and large bonus/rec room. Stunning white kitchen w/ granite, stainless, and counter bar. Expansive master bedroom with lux en suite offering separate vanities, soaking tub, and shower! Finished over sized garage. Nearly half an acre lot with deck, pergola, and fenced rear yard! All appliances remain including washer and dryer.